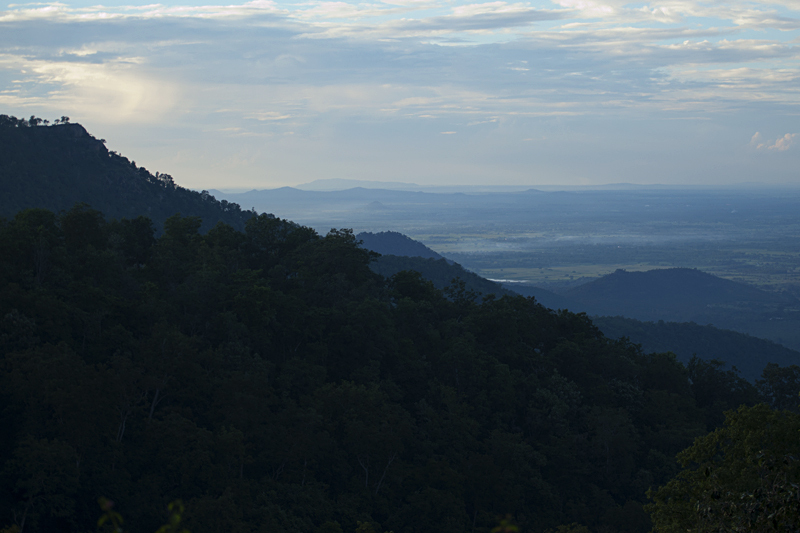 It was still Monsoon season in the western ghats when we drove into BR Hills. The forest was saturated with a blanket of lush greenery and the overcast skies predicted that we were in for a rain soaked safari experience. True to predictions, it rained every day at BR Hills during this trip. Fortunately the rains held back whenever we set out on a safari. But the all round dampness ensured that wildlife sightings were rare and scattered. Even the ever shy Grey Jungle Fowl was seen taking respite from the dampness of the forest floor in this feature image (above). At one point the skies cleared a little and from the dizzy heights of BR Hills, we caught a glimpse of the Chamaraja Nagar town (below). 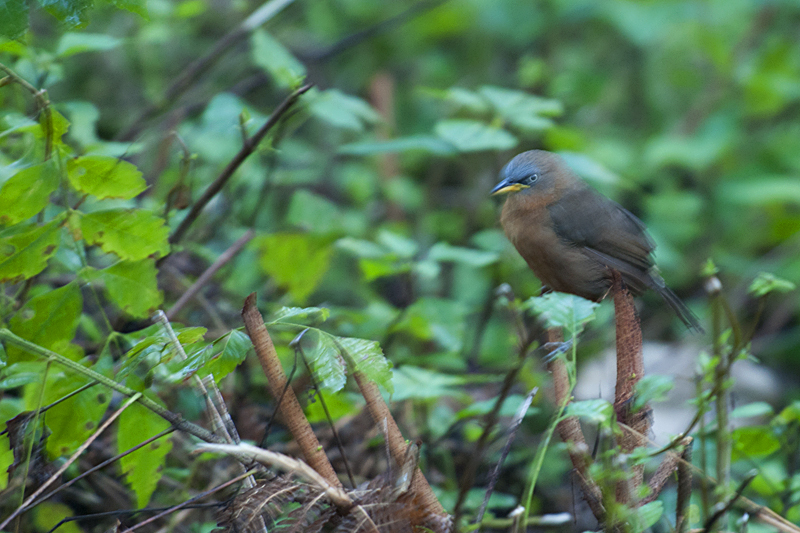 During one of the safari’s as we exited BR Hills, our guide spotted a flock of Rufous Babbler (above) and we managed a record shot in the low light conditions. 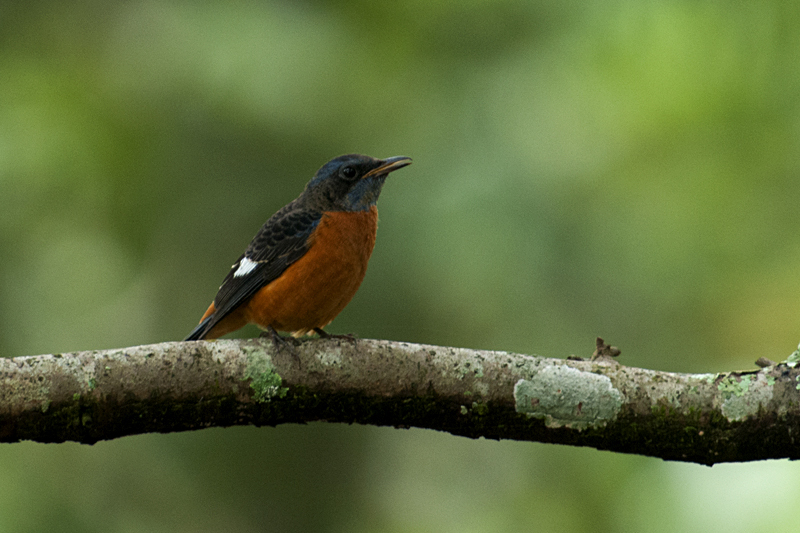 The sighting of this singing Blue-capped Rock Thrush (below) was the only bright spot of what turned out to be a damp safari. 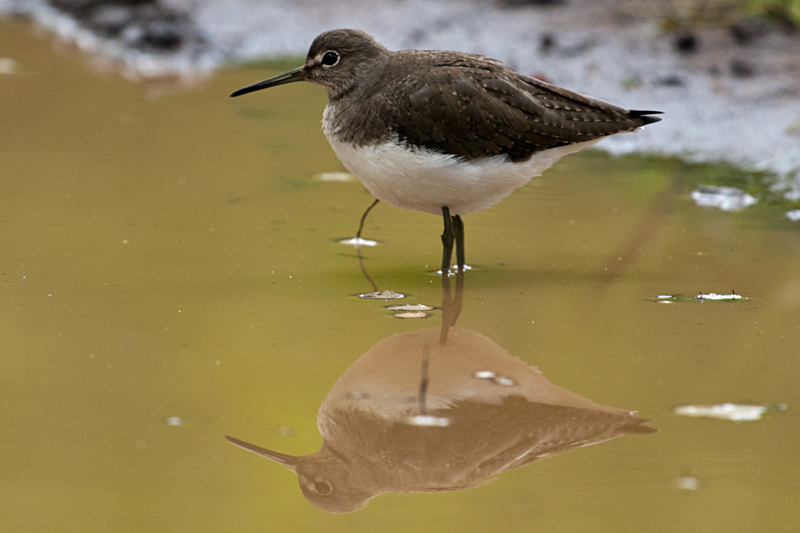 While we stopped at a waterhole scanning for the invisible Tiger, a Sandpiper (above) stood motionless in a nearby puddle. Thanks to its frozen pose, we could catch it in this 1/40sec shutter speed frame. 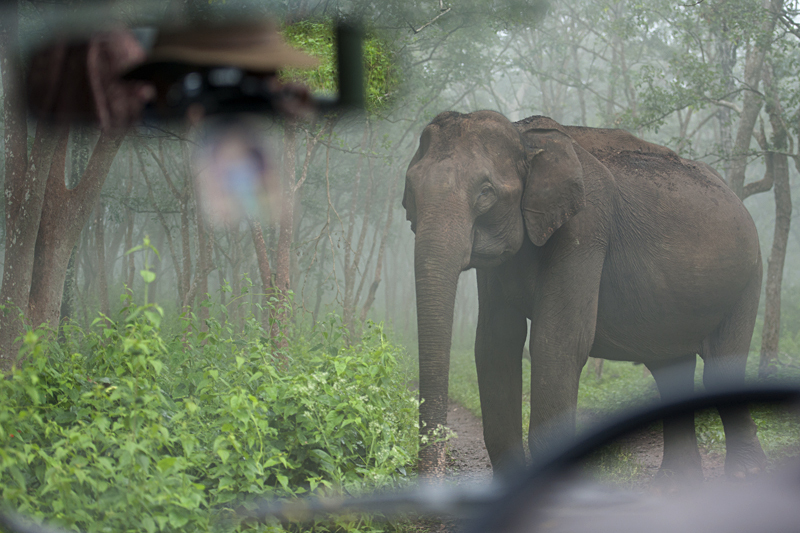 The highlight of this trip was the many sightings of an Elephant herd. In the first sighting of the herd, the huge matriarch (below) stood in the middle of the road blocking our path leaving me with no option for a clear shot, except this angle through the windscreen.